What are the Advantages of a Separation Agreement? Getting a divorce isn’t always the best solution for couples and, in some cases, isn’t possible. A Separation Agreement is an alternative that allows you and your spouse to split your assets and go your separate ways, while still being married. But what are the advantages to drafting a separation agreement and why should you opt for one over a divorce? A divorce can be a stressful time, even when it’s amicable. Couples face the task of fairly dividing any matrimonial assets they’ve accumulated during their time together, such as the family home, joint bank accounts and pensions. Needless to say, if one party doesn’t agree on how these things should be split, it can make the process even more time-consuming, costly and arduous. A separation agreement may be the solution. 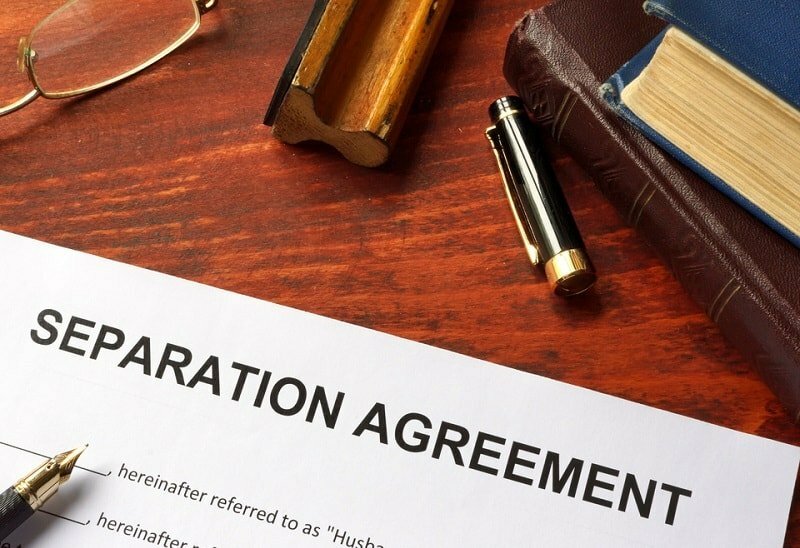 In this blog post, we look at what a separation agreement is, what its benefits are and in what situations opting for one might make more sense than getting a divorce. A separation agreement is a document that outlines you and your spouse’s obligations to each other during your separation. In this case, a legal separation means you and your partner are separated in the eyes of the law, rather than simply splitting up and still having legal obligations to each other as husband and wife. Drawing up a separation agreement offers you a degree of protection as, while they aren’t legally binding, they can be persuasive in court, should any disputes ever arise of finances, children or during actual divorce proceedings in the future. 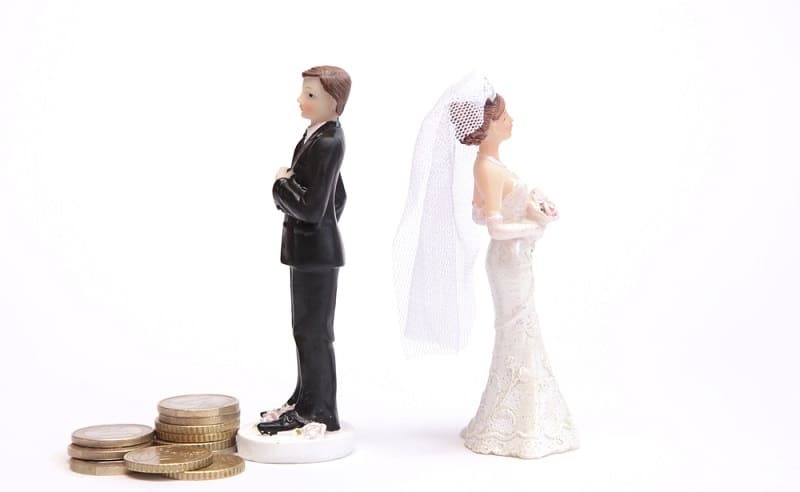 It’s really down to the couple which obligations are listed in a separation agreement — the benefit is it is flexible and, as long as both parties agree, it can cover a variety of permutations. An agreement will typically specify who will stay in the home and contribute to the mortgage, what rights the other person has to the marital home (all spouses have a legal right to their partner’s assets, including the home, so it’s important this be acknowledged when arranging who keeps the house), who your children (if any) will live with and how much maintenance you or your spouse are liable to pay. When you and your spouse have been unhappy for some time, getting a divorce might seem like the only solution. You’ve tried working through your problems, but, at the end of the day, you find yourself stuck in a vicious circle of constant arguments and disagreements. This tends to happen when we lose sight of why we fell in love with our partner in the first place. Legally separating can feel less permanent and severe and means you can live apart while still being married, should you decide that a split isn’t really what you want. While one party could effectively move out of the home without separating legally, a separation agreement allows you to clearly set out obligations to one another and keeps you both accountable. You might find that, after time apart, the problems between you dissolve, as you aren’t being reminded of the things that drove a wedge between you and arguing over things that only served to push you further apart. If you decide to give your relationship another try, you won’t have wasted time, money and unnecessary stress and heartache going through the divorce process. There are several reasons why you may not be able to get a divorce. Some religious beliefs conflict with the concept, but no individual should feel bound to stay in an unhappy marriage. In this case, a separation agreement allows you to live your own life, away from your partner, without compromising the sanctity of marriage. If you’ve been married for less than a year and decide that things aren’t working, you won’t be able to get a divorce just yet. If there’s no chance of you reconciling the relationship, a separation agreement will outline how any assets and responsibilities should be split until you can start divorce proceedings. Divorce is stressful and draining enough for adults, but when children are involved, it can be confusing and heartbreaking — it signals a huge change in their life and it’s important that their needs are put first. No child wants to grow up seeing their parents constantly fighting and it’s for this reason that, when there’s no chance of patching things up, many couples opt to get divorced. But the legal battle itself is one big argument and disputes over child arrangements can last way past the dissolution of marriage. Court battles over who your child will live with and who will have custody can drag out for a long time when an agreement can’t be made. But setting that aside, no parent would deny that their child’s wellbeing must be the priority. Drafting a separation agreement allows you and your partner to negotiate on key factors with a solicitor present, such as when your spouse will be able to spend time with their child, without the need for stressful court hearings. Legally separating may seem pointless if you intend on getting divorced anyway, but having an agreement in place can still be beneficial. If you and your partner decide to separate on a trial basis, you may decide to give things another try, but you also might decide that being apart is what you want. You then may decide to make things “official” by filing for divorce. In this case, having a separation agreement in place can make divorce much quicker and easier. Because you’ve already hashed out how you will split your assets and who will keep the house — and have likely already been living apart for some time — assuming you both still agree, there should be no reason for this to be an issue or delay the process. In the event that one party does dispute the divorce, for example, because they’ve changed their mind about what’s been agreed, a separation agreement, while not legally binding, constitutes a valuable piece of evidence. 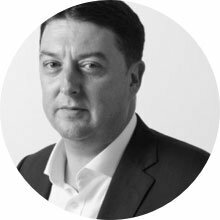 An agreement is a written contract, one that is rarely challenged when drawn up by a professional family law solicitor. Separation for a period of five years or more. If you and your spouse separate, but are faithful to each other and do not wish to cite unreasonable behaviour (especially if the relationship ends amicably), then having a separation agreement in place can offer proof to the court that you’ve been separated long enough to meet the conditions for divorce. For many couples, getting a divorce is often just the first hurdle. Following the breakdown of marriage, especially when you move from being married and living together immediately to getting divorced, you are both left to pick up the pieces of a broken relationship and to learn how to live independently. Disputes over children and finances can continue to drag on, but, with a separation agreement, this becomes less of an issue. Because your finances and arrangements regarding your children have already been sorted — assuming you both still agree — when your divorce comes through, you’ll be able to fully move on with your life. While it’s expected that the divorce will still be a little raw, because you’ve already experienced legal separation, you’ll likely have already begun to adjust to life after divorce and started to enjoy the benefits of being a divorcee.